Thank you for a fantastic book.It is not often that you find an eBook packed full of tips that are both practical and helpful.Sometimes the smallest things make the biggest difference. But it is a lot easier said than done! Raising a child with special needs comes with extreme challenges, and there are days that we start to question how we're managing our children, home life and marriage. Being a mom is one of the toughest jobs and in the world (and most rewarding) but there are times we wonder just how well are we really coping? While this eBook is certainly not a 'child raising bible', it does give moms many tips and ideas on how to handle everyday obstacles in raising children and gives us the confidence to get up and keep going. Many are common sense ideas that we sometimes lose sight of in the thick of a trying time. Reading them can be the medicine we need to keep it together and get through another day without any major meltdowns! 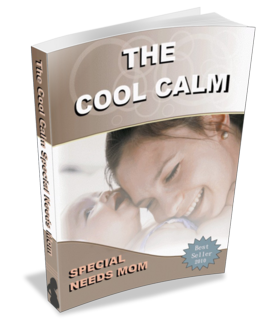 Fill out the form below and you will immediately receive "The Cool Calm Special Needs Mom" eBook ABSOLUTELY FREE! 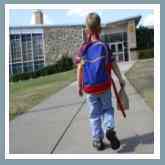 The Special Needs Child News - a free subscription to our newsletter which is filled with tips and advice, and keeps you updated with all the happenings here at The Special Needs Child, delivered directly to your email in box. 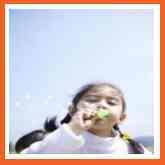 I promise to use it only to send you The Special Needs Child eZine.